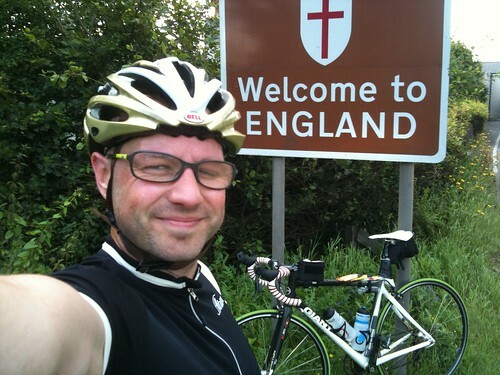 Recently I published a piece on Stuart Potter’s Biggest Journey, a 400 mile ride which he is undertaking to raise awareness of mental health issues, after coming to terms with the fact he suffered from depression. I asked him some more questions about it, as well as some more details to do with his depression and cycling specifically. I was diagnosed with depression in Feb 2011 after suffering for a few months with extreme lows, irritability, anxiety and sometimes anger. The trigger for me going to get help was feeling unable to cope with my 3 year old girl and on a number of occasions losing my temper with her and I was terrified of frightening her… this caused a fair few problems at home with my wife and I too. It was my wife that knew something was wrong and insisted I go see my GP. Following the diagnoses I began taking medication, though I was very reluctant at first, and also seeing a private therapist. I’m still benefiting from both of these forms of help. On further investigation, mostly through talking with my therapist, it seems that I’ve battled with this for a long time – most of it seems to stem back to a cycling accident I had when I was 17 (I’m now 35). I was hit by a truck and, though was lucky to get away with only minor physical injury, I had server shock for a number of weeks afterwards and suffered huge mood swings and panic attacks in the following months before being diagnosed with post-traumatic stress disorder (PTSD). I went through counselling for this up to taking my A-Levels before leaving home to go to University. This is when the biggest problems seemed to set in. I moved to Scotland, my family moved to Dubai and I lost most of my support network at a very decisive age while I was still recovering from PTSD. What happened then was that I didn’t really recover and instead developed a number of ‘coping strategies’ that cemented themselves as behavioural characteristics. The signs have always been there but I’ve been able to hide them from most of the world, and myself. I’ve become very good at acting… being able to put on the ‘happy face’ is part of the job I do in Sales and over time that has become my default. I found my escape through cycling which I’ve been lucky enough to use as my self medication – this could have been something much worse. Over the last couple of years though, the pressure of stress from work (my previous job) and the added responsibility of being a father have exacerbated my symptoms and pushed me lower than I have been since my accident 18 years ago. When my little girl needs my attention, help and love, she takes first priority… I could no longer just run away from things to get some space and clear my head. I’ve now been on medication and in therapy for a year. I’ve spent the last 12 months learning about my illness, learning new coping strategies and become more aware of myself. I’ve had a good look at my life and tried to remove any big stresses so that I can learn to deal with the smaller ones. I have a new job with a much better working environment and I’m much happier there. My wife has been incredibly supportive, but things have been very hard for her through all of this as she’s had to learn to live with me again too. I’m now mostly stable but there’s still a long journey ahead. 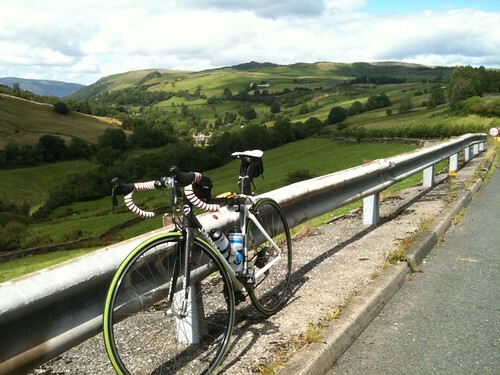 My big turning point was last summer though, when I undertook one of the biggest endurance challenges I’d ever set myself and rode 200 miles in one go from my house in Scotland, to where I grew up and where my parents still live in Cheshire. This was as big a mental journey as it was physical and 14.5 hours on a bike, on my own, gave me a lot of time to think and process. On achieving this I realised I was actually on the up and starting to sort my life out. Lots of friends and colleagues asked me if I’d done the ride for charity and found it hard to understand why I’d take that on just the ‘the fun’. I then made the decision that in 2012 I’d try and take on a bigger challenge and combine it with supporting a cause that meant a lot to me… I then spent 6 months working out how to go about that and came up with the biggest journey challenge. Deciding to ride 400 miles in 3 days was the easy bit… but I struggled with what cause to do it for. In the end I realised that the reason I ride bikes is for my own mental wellbeing and as such I should be using the ride to, in some way, help others with theirs. The hardest bit was the decision to go public with my own experiences. I knew that if I was to be trying to raise awareness of a subject that I was dealing with myself, I had to be open about my own experiences… especially as I was focusing on trying to help more people be more comfortable about talking about it. I’m lucky enough now to have a great support network around me. My family, friends and colleagues have been incredible. However, many people don’t have this much support and are dealing with their own issues on their own, are afraid to talk to their loved ones about it, or sometimes afraid to admit to themselves that there’s something wrong… I’ve been there. I really support the work that Mind do in offering support to those with mental health difficulties and also bringing the subject to the attention of the mainstream through campaigns like Time-To-Change. This is why I’ve chosen to support Mind in my fundraising. I’ve been part of business networking group, 4Networking, since August last year and found it to be an incredibly resourceful and supportive business network. This seemed an ideal audience to use for drawing attention to the importance of mental health awareness in the workplace. Also, having over 300 groups across the UK, I was able to punctuate my ride with key groups across the UK and give me a platform to speak. Since announcing my challenge, I’ve had overwhelming support from 4Networking members, business colleagues, the cycling community, and other people with mental health problems that have found me online via the website and twitter. Many people have engaged with me and shared their own stories and this has been incredibly uplifting and motivational. 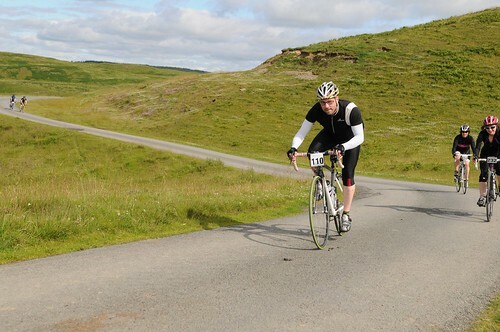 If you want to read more, there are a couple of blog articles Stuart wrote before being diagnosed, that show the signs of how cycling has helped keep me straight. For more information and to follow Stuart’s Biggest Journey, visit www.biggestjourney.com with live updates and blog, and follow @biggestjourney on twitter. 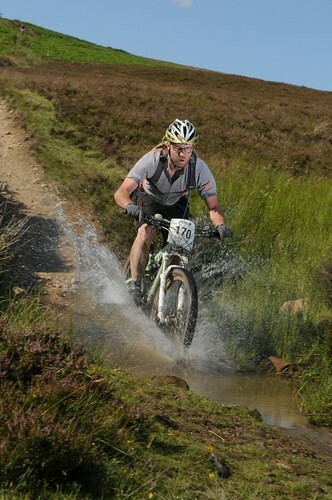 This entry was posted in Riders and tagged touring on May 7, 2012 by Owen.